Three individuals will receive honorary degrees at Emory's May 12 Commencement. 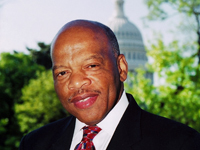 Commencement keynote speaker U.S. Rep. John Lewis (D-Ga.) will receive an honorary doctor of laws degree. Lewis began a career of service early in his life; at the age of 23, he was one of the architects of and a keynote speaker at the historic March on Washington in August 1963. The icon of the Civil Rights Movement helped found the Student Nonviolent Coordinating Committee (SNCC) and was its chairman from 1963 to 1966. SNCC organized sit-ins and other student activities for civil rights. Lewis also served as director of the Voter Education Project, helping to register millions to vote. In 1977, Lewis was appointed by then-President Jimmy Carter to direct more than 250,000 volunteers of the federal volunteer agency ACTION. He was elected to the Atlanta City Council in 1981 and to the U.S. Congress as representative of Georgia's Fifth Congressional District in 1986. Lewis currently serves as senior chief deputy whip for the Democratic Party in the House of Representatives and is a member of the House Ways & Means Committee, serving on subcommittees on oversight, income security and family support. Lewis is the recipient of numerous awards from national and international institutions, including the 2011 Presidential Medal of Freedom, the country's highest civilian honor. He holds a B.A. in religion and philosophy from Fisk University, and is a graduate of the American Baptist Theological Seminary. Ben F. Johnson III, '65C, who was chair of Emory's Board of Trustees for 13 years, will be awarded an honorary doctor of laws degree. During his tenure of leadership, Johnson oversaw governance of the University, helped shape its leadership team, and tended to its long-range fiduciary health until stepping down in November 2013. As board chair, Johnson led the search committee that recommended appointment of Emory President James Wagner. 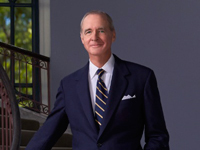 Also during his tenure as chair, Emory oversaw development of a university-wide strategic plan and a campus master plan, and launched the most ambitious fund-raising campaign in Emory's history, raising $1.69 billion to support teaching, research, scholarship, patient care and social action. 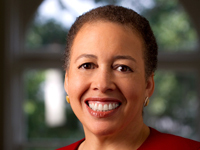 Beverly Daniel Tatum, the ninth president of Spelman College, will receive an honorary doctor of humane letters degree. Tatum, widely recognized as a scholar, teacher, race-relations expert and leader in higher education, is an accomplished administrator who has led Spelman in growth and recognition since 2002. President Barack Obama appointed her in 2010 to the Advisory Board for the White House Initiative on Historically Black Colleges and Universities. In 2005, Tatum received the prestigious Brock International Prize in Education for her innovative leadership. Tatum also is a member of several national non-profit boards including the Institute for International Education, the Carnegie Foundation for the Advancement of Teaching, and Teach for America, and is chair of the Atlanta Regional Council for Higher Education.